If you happen to be in Chandigarh, Ambala, Panchkula, Mohali or nearby areas then don't miss the chance to go on a weekend drive to Dharmapur, a small town located on national Highway no. 22 on Kalka-Shimla highway. 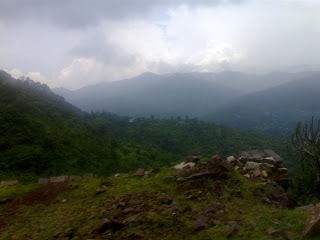 Not only you can enjoy cool and pure breeze from hills but also the adventures drive. If you love weekend drive, exotic food, open spaces and a lively atmosphere, then Dharmpur is the place for you. Famous food junctions viz Giani Da Dhaba, Cafee cofee day, Modern Dhaba, Cafe Coffee Day, Golfer's , Hot Millions will certainly delight you. The most popular food point for tourists is 'Giani da Dhaba' . So many people just travel to enjoy delecious meal. On the way you can also enjoy Timber Trail ropeway at Parwanoo, burgers at McDonald's. Dharampur is also connected by Kalka-Shimla narrow gauge railway line which mean you can also enjoy Kalka-Shimla heritage train if you don't want to drive own vehicle. So what are you waiting for?? Next weekend?